February 2011 – Journey called life! 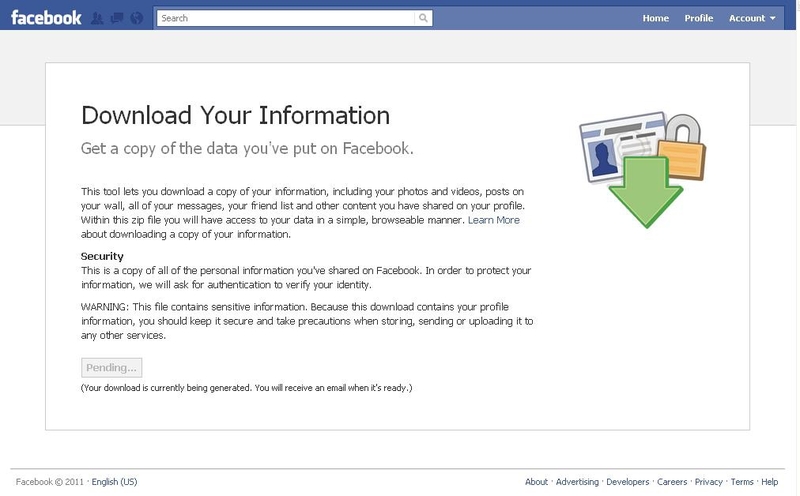 Without wasting any time about anything irrelevant, will just tell you how to download your entire facebook profile information including status updates and photos etc. 3. 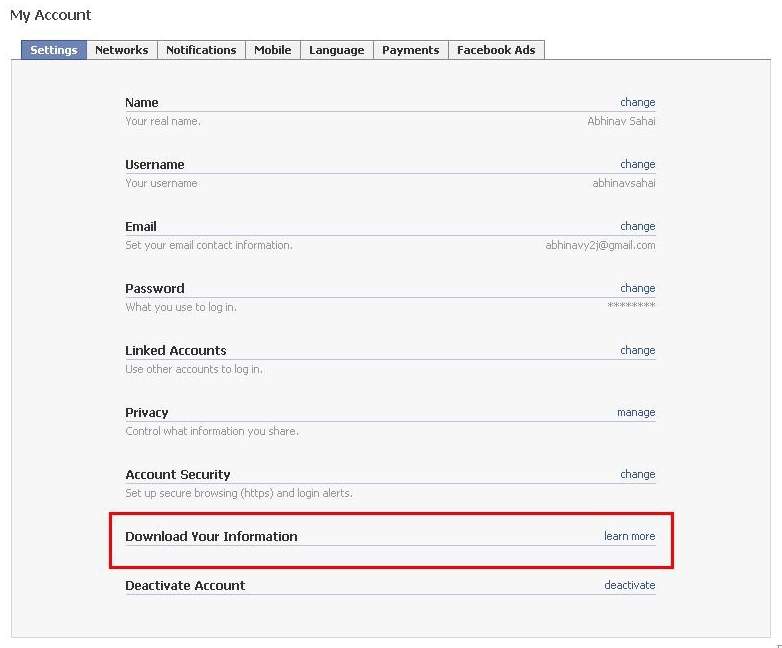 You will see a link “Download Your Information” and next to it a LEARN MORE link. Click on that, you will asked to confirm that you wish to download and a big download link. Just click that…you are done! You will get the information as a zip file, not immediately. It would take some time and you will get a notification when the file is generated.